© 2012 by Malia Anderson; All rights reserved; content may not be copied, rewritten, or republished without authors written permission. Its no surprise the Federal and State Governments are stepping up their green initiatives. Planning on doing some home remodeling? The consumer who takes the extra step to go green is guaranteed to get more tax breaks in 2013. Here are some summer projects that will net big tax breaks when it comes time to file taxes. One of the easiest ways to net a tax deduction is to get a skylight. 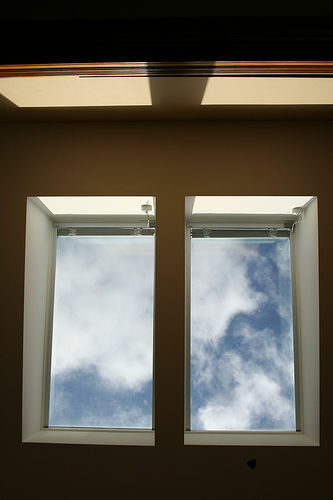 Proper installation of a green exterior or skylight will next a maximum $200 tax deduction (or energy tax credit). If you make any of the energy efficient upgrades mentioned in this article, dont neglect contacting your insurance agent. Remember that your policy is meant to cover the replacement cost of your home, not what the tax authorities assess it at. Replacement of a homes windows with energy efficient windows will net a homeowner a 10% or $500 tax deduction. Note that with an energy tax credit, the amount of money returned to the homeowner only applies to the purchase price, not labor installation costs. Letting the sunshine in has never felt so sweet! Most heat and cold escapes through doors, namely the front door. This can cause large heating a cooling bills to the owner, as well as increased carbon footprint. To keep the heating and air-conditioning from working overtime, replace the front door. This can equal up to $500 in deductions. Replacing the insulation will net a similar amount and save money in the long run. The vast majority of that outrageous energy bill is based on heating and cooling. Sometimes, saving money is as simple as replacing the thermostat with a smart programmable one. However, for A/C units over twelve years old, replacing the unit altogether with an energy saving appliance can significantly reduce your power bill. The replacement of the central air in a home will net up to $500 or 10% of the installation cost. Save money, make money, and get a deduction? How is this possible? Energy Star® is rewarding anyone who purchases their geothermal heating unit, small wind turbine, or solar panels with a 30% tax deduction(with no amount cap), courtesy of the federal government. This applies to primary residence homes, so rental units are out of luck with this tax break. Residences of certain states may also receive a state deduction of up to 30%. The most remarkable aspect of this is that some energy companies are even purchasing residual energy from clients. This equals a low to non-existent power bill and even the possibility of being paid by the power company. Its a win-win. If the owner has a little more green to spend they can also install a hydrogen fuel cell. This is revolutionary and may change the way homes are powered forever, and it also offers a 30% deduction on income tax. Are you building a new home, or need a complete revamp of your homes energy system? It might be worth it to you to look into hydrogen fuel cell power system. Its quite an investment, and it only applies to primary residencies. However, Uncle Sam will help you to foot the bill by paying for 30% of the cost and up to $500 per .5 kW. In addition to tax benefits, the environmental benefit from fuel cells is unmatched: carbon emissions are reduced by 41% and generate enough excess heat to heat your entire water supply. There are so many options to greenify a home, and the IRS wants to nudge you as gently toward them as possible. Who knew being green could be so profitable? Angies List - Find thousands of unbiased ratings and reviews on service companies in your area, join Angie’s List today. Guest author Malia Anderson is a content specialist and freelance author based out of Greensboro, NC. She enjoys pottery, fixing up her first home, and playing the ukelele.